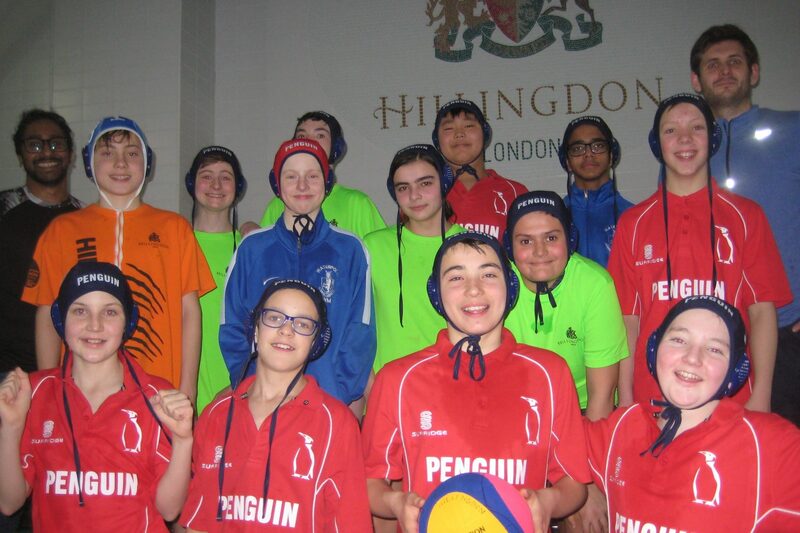 It was a great first season for Penguin Latymer water polo teams. In the London League Summer Championships, Latymer Emperors took the title in the U15s Division 2. They were unbeaten thanks to their extraordinary defense, conceding just one goal in all seven matches. In the U15s Division 3, Latymer Kings were victorious. They lost only one of their 12 matches, by one goal! Latymer Blue Penguins won the U12 Division 2. They were unbeaten and had the best defense of the tournament across their 15 matches. Aside from London League, our developing U16 teams took gold and silver at the London Swimming Development Tournament and our U14 team took gold in their category. 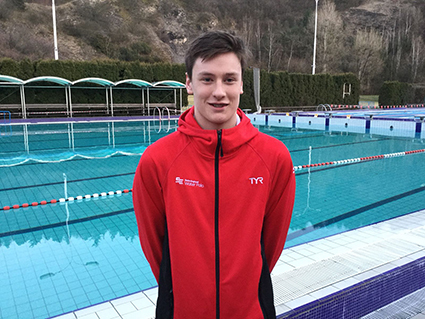 On the national stage, Latymer Penguin player Toby Roberts played in the England team at the U17 EU League. 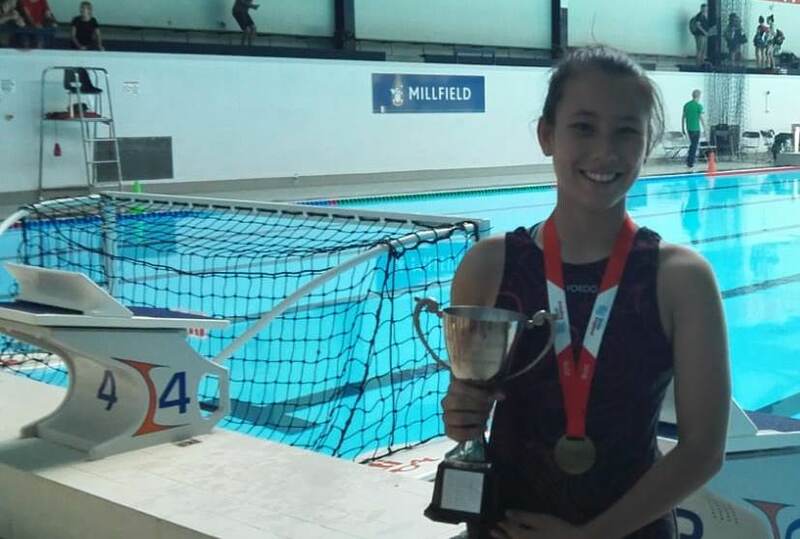 At regional level, Penguin Audrey Tala played in the South East Team which won the Interegional U16s Championships. All in all, it’s been a hugely successful summer. Well done to all of our young players and thank you to Ian Grimwood (Team Manager), Claudio Palumbo (Head Coach) and Krisz Serfozo (Assistant Coach) for their hard work. Now we’re ready for the London League Winter Championships! 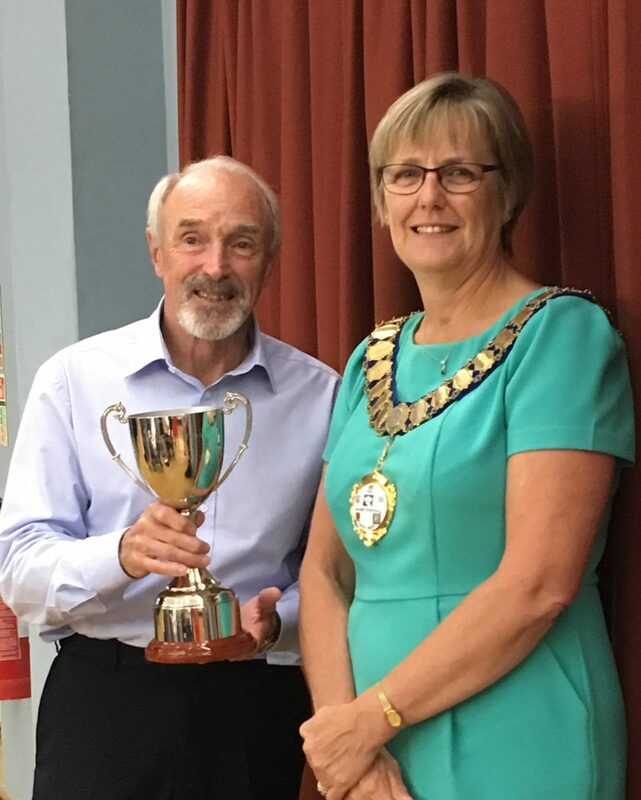 Congratulations to Penguin water polo coach, John Lake (aka Shakey) who has just received the London Swimming Dave Barnes Award 2018, recognising his outstanding contribution to aquatic sports in the region. Shakey has coached the Penguin women’s water polo squad for many years, and is now working with the Latymer Penguin juniors too. 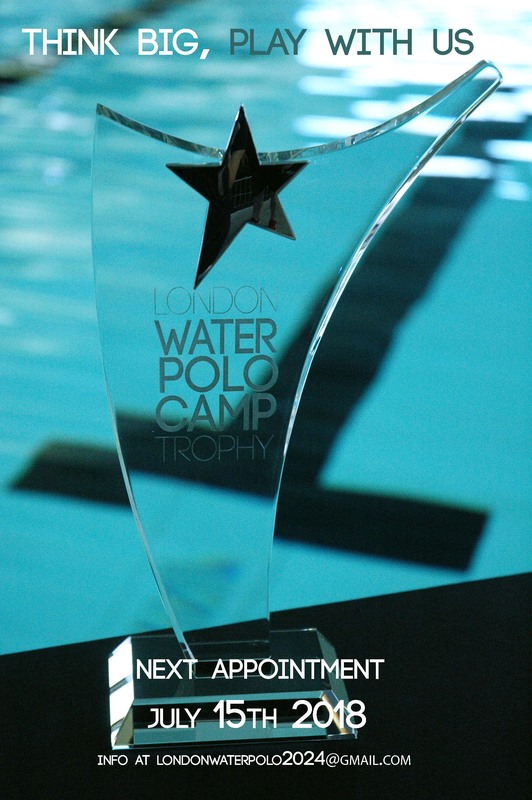 The trophy was presented today at the London Swimming Annual Awards by Diane Gamble, President of London Swimming. Well deserved, Shakey! We’re so grateful for all you do for the Club, and hugely proud that your unstinting dedication has been recognised more widely through this award. Our Hillingdon Penguin Summer Fun Tournament coincided with the England v Sweden football World Cup, so we too adopted a world cup theme! The teams and captains were: England (purple) David, Brazil (white) Anderson, Croatia (blue) Adam and Belgium (green) Samir/Michael. The winning team was Belgium… well done to Samir, Michael, Amy, Bailey, Vicky, Jenson, Aleks Y, Robyn, Riaz and Georgia. The after-tournament party was also our awards ceremony. The Penguin U14s Trophy for 2017 was awarded to the U14s team which played in the London League winter champs. They started the season as two separate teams and had to regroup into one due to players leaving last Autumn. It was amazing how these Penguins found a new determination and great to see some who had previously been sidelined, coming to the fore and playing their best yet. Winners of the Penguin U14s Trophy for 2017: Charlie, Matthew, Aryan, Will M, Sean, Georgia, Oliver, Dan M, Joseph, Dan U, Ben, Jenson, Luke and Nik. 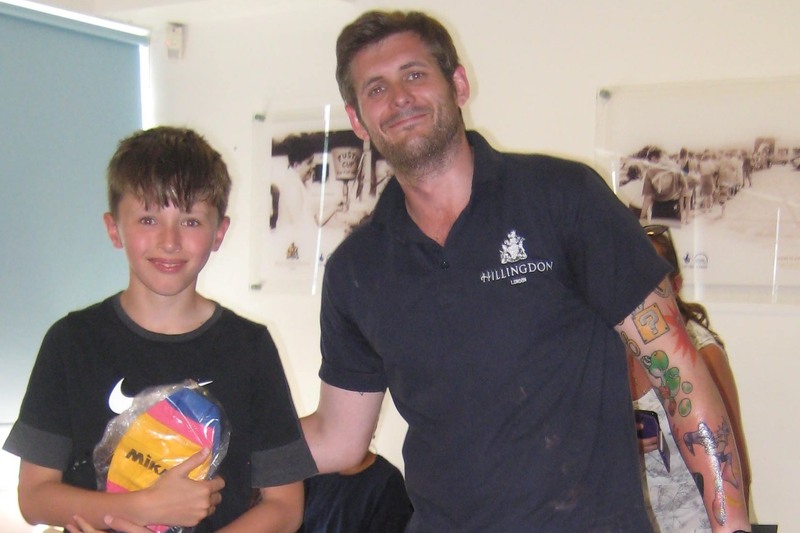 Coach’s Player: Alexander Rothwell – consistent, takes on board all feedback, puts everything into training and matches. 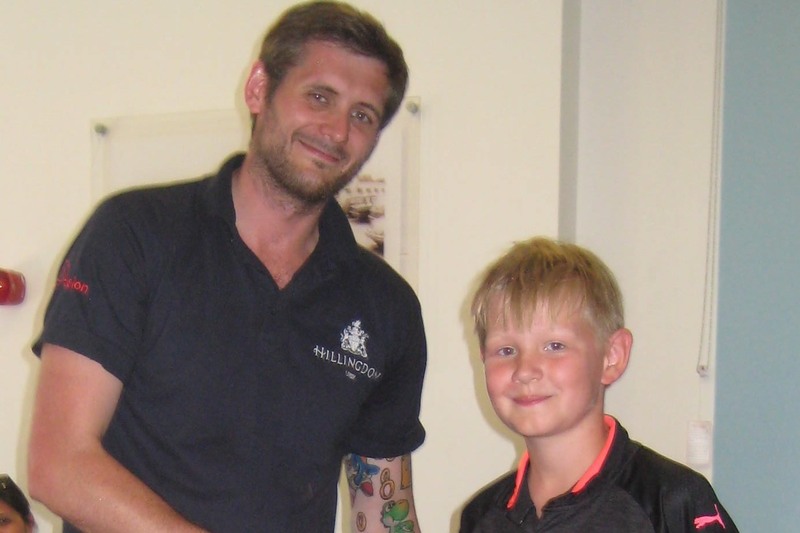 Most Improved: Jacob – has grit and determination to improve, now started club swim training, and strength and conditioning dry land training. Best Sportsman: Sam – a supportive and loyal team-mate, becoming a really strong addition to the competitive team. Best Newcomers: Órlaith & Riaz – although relatively new, they have learned fast and are already having an impact in the U13 team. Coach’s Player: Charlie – a key component of the U15 team’s attack; always looking to score and drop down to defend. Most Improved (Three Awards): Matthew – has grown into his new goalkeeping role, works hard, always keeps the defence in check and has created some good openings on the field; Molly – quiet but always willing to learn, focussed during training, has come a long way in improving her game and skills, and cheeky when she pretends not to hear the number of sprints she needs to do! ; Will M – put up his hand to play goalie, has grown in confidence, is solid in defence as well as a utility player who can come out of goal and be a field player. Best Sportsman: Sean – a leader, he always holds the team together with discipline and motivation. Also independently picked by Adam for his improvement in technical skill. The coaches have formed a close unit, all working towards developing the children across the groups, supporting each other’s decisions and giving the children individualised feedback. Many thanks to Aloka and Shaun for their leadership and loyalty. 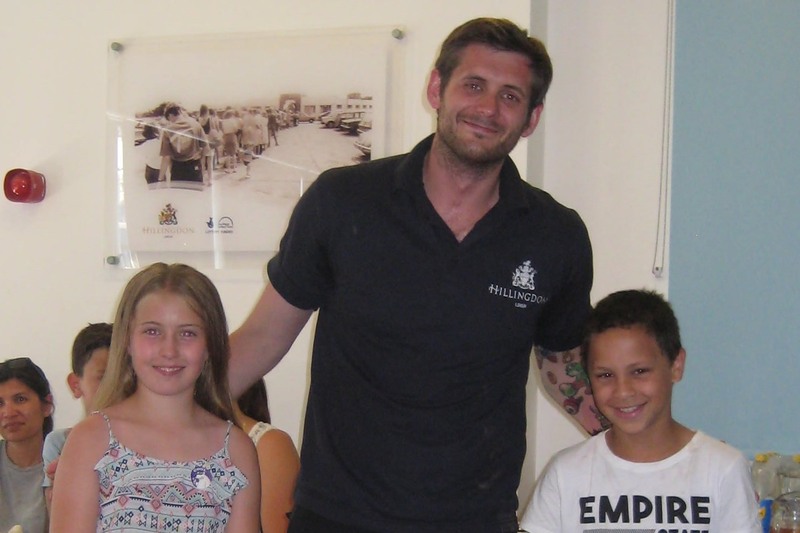 Thanks also to Adam and Mickey – it has been fantastic to see their coaching skills improve. We are fortunate to have so much parental support. The end of term party would not have happened without Sam’s tireless enthusiasm and hard work. Thanks also to Mike for buying the drinks and Rachel for managing the Under-13 team. Finally a big thank you to everyone at Hillingdon Penguin – players, parents and coaches – for your individual contributions, and for making this section of the club your own. 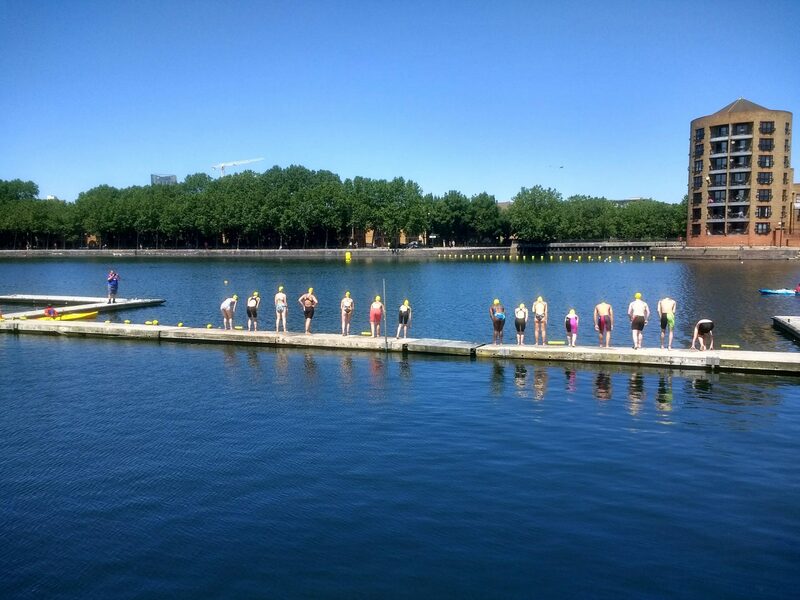 A gloriously sunny day on Saturday 30 June saw five Penguin masters swimming in the London Region Open Water Championships against the stunning backdrop of Surrey Docks. Jesse Kelly and Vito Palladino took on the 5k race – 10 laps of the course. Ambra Finotello, Jess Needham and Claire Berry raced in the 2k distance. Claire’s daughter and a posse of Penguins were there to cheer them on. Ambra, Jess, Vito, Jesse, Claire and chief supporter, Bebe. I had a wonderful time swimming Surrey Docks in the summer sun. 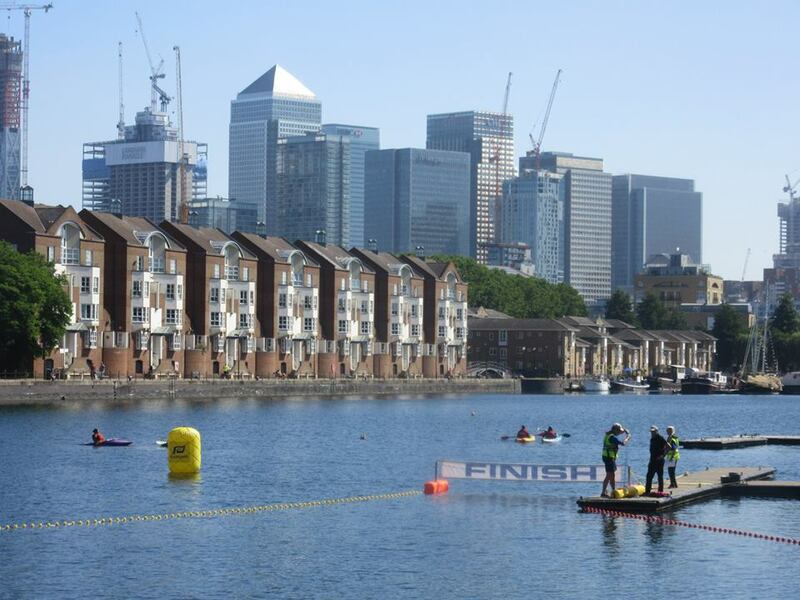 It’s not every day you can swim against the backdrop of the Canary Wharf towers on a hot day. The event was competitive for some – the dive start off the dock was new for me – but also just a bit of fun for some of us Penguins. I enjoyed the opportunity to swim somewhere new in London. Thanks to Vito for organising as the team manager, and all of the supporters who came to cheer us on. It was a fun day! A great day for a swim; hard work but worth it. I actually thought I was last as we were so spread out but happy and surprised to be told I wasn’t! We had a really great time. It was a beautiful day and a lot of people showed up to cheer us all on. I was pretty blown away with the speed at the start as a group of youngsters quickly distanced themselves. I ended up on my own for much of the swim but I was even more shocked when the speedy group of both boys and girls lapped me on my 7th lap! There are some really fast swimmers out there! It was really great to see so many of all ages at the event, and to have a great turnout from the Penguins. Our small team did brilliantly. In the London Region results, Jesse won the 40+ men’s category, qualifying for the Nationals in July. Vito finished 2nd in the 30-39 men’s race. Split out into the Middlesex results, Jesse and Vito both took gold. In the London Region results, Jess took second place in the 25+ women’s race with Ambra finishing third, and Claire 4th. Separated out into the Middlesex results it was gold, silver and bronze respectively. 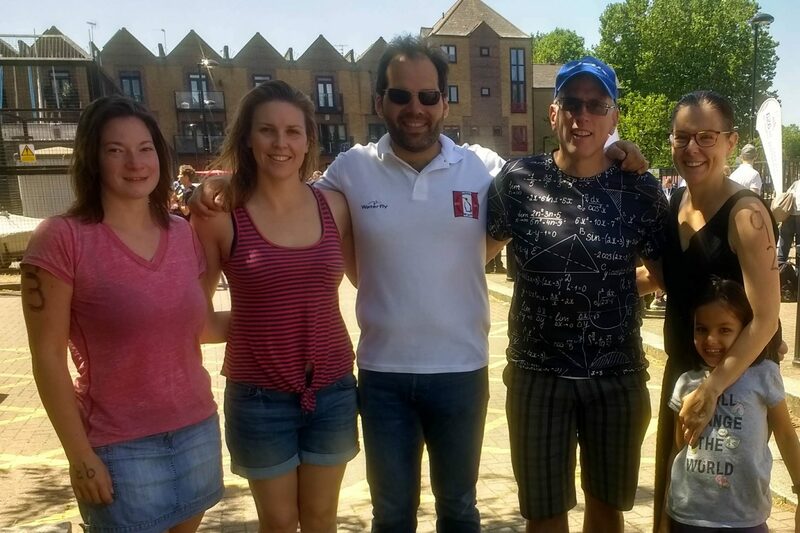 On Sunday 15 July we’re collaborating with London Water Polo Camp to present a fun open water polo tournament for all players of all ages, from beginners to experienced. The most valuable player will receive the tournament trophy to keep for six months, and there will be other prizes too. Taking place at Latymer Sports Centre in Hammersmith, the games will run from 13.00 to 15.30 with a fun post-tournament party afterwards. Use code WLPSC249 for a 10% discount on all purchases and the Club earns 5% too. Click and shop with Amazon and the Club earns 5% on your purchases.